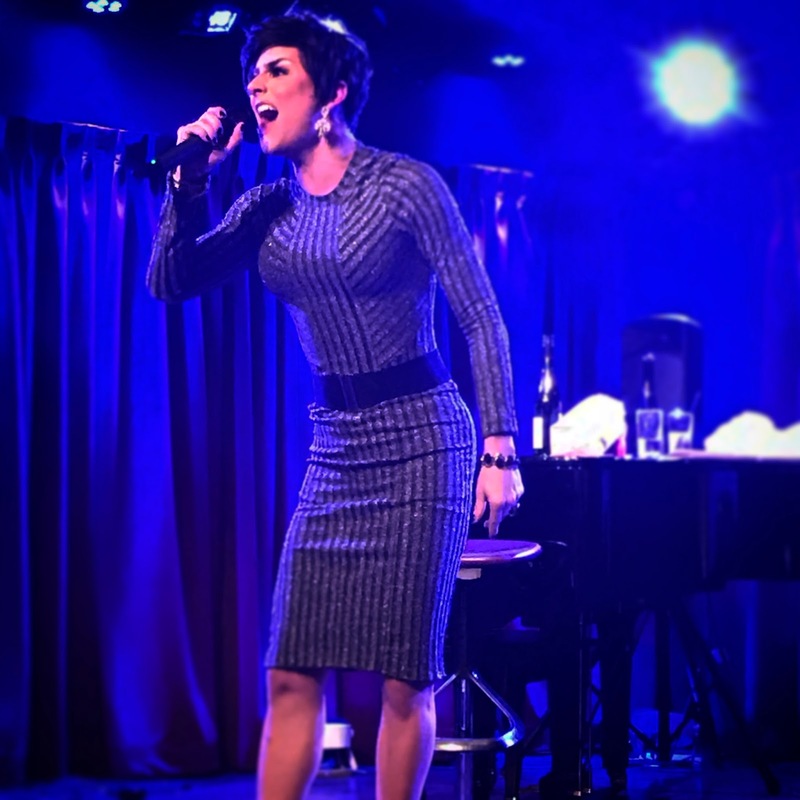 She was crowned the winner of Lady Liberty Cycle 3 and now she's bringing her spin on the Kardashian momager to life in I Am Kris, a boisterous cabaret paying homage while poking fun. Jan Sport, the premiere Kris Jenner impersonator, gives you the only mashup of showtunes and Kardashian you'll ever need. Or, for that matter, want. Gracing the stage at the spiffy and luxurious Greenroom 42, New York's newest late night cabaret hot spot, Jan Sport parodies the world's most famous momager since Mama Rose. Spoofing Kris' ex's television series "I Am Cait," I Am Kris showcase the seven-step program to gaining fame. I Am Kris was the perfect marriage between drag and theater. Jan Sport brought a fully fleshed out narrative to the stage, something some other drag performers are unable to do in similar settings. Each step revolved around a spoken word lip sync accompanied by a rousing showtune parody. If you groaned when you knew the song coming up, it's because it paired up so well with the bit. The structure was a tad formulaic and yet it worked because Kris is, well, pretty damn basic. Jan Sport proves that she's not only a dynamic performer but she's also a smart artist. There is no arbitrary song selection here. Every musical inclusion is deliberate and precise. Any moment of video accompaniment helps tell the story. And then there is her portrayal of Kris. While she's much younger than her real life counterpart, Jan Sport has Kris J on lock. This is a loving spoof but there is a glimmer of humanity in her characterization. She goes beyond the lampoon to explore why we have such a great fascination with this woman and her family. And don't fret, JanSport doesn't skimp on the look changes. She gives Kris her array of styles. As the show continues to find life, where Jan Sport can improve most is in her improvisational skills while in character. There's always bound to be a technical snafu requiring her to cover. That's when the little blip to the audience while waiting for the correct track to play can garner big laughs. Get them to see the other layers to the character. There's always room for improvement and this is where it comes. I Am Kris may have only been a one night extravaganza but expect to see it return again and again. This is one show you'll be happy to see in syndication. Jan Sport is an elite performer who is taking nightlife by storm. Be warned.